Born in Kaunas, Lithuania on December 17, 1973, Antanas Guoga is a professional poker player who has laid claim to a series of high-profile money finishes. His peers and fans know him simply as Tony G, and his boisterous and eccentric personality have earned him other nicknames, such as the Australian Airbag and the Mouth from Down Under. Tony G's outgoing nature is infectious, and while it may rub some the wrong way, most players and fans around the world adore him for it. As a child in the 80s, Guoga was obsessed with the Rubik's Cube. Prior to moving to Australia at age 11, he converted that obsession into a championship and a certain amount of notoriety in Lithuania. Living in Melbourne, his love of games and puzzles persisted, and at age 15, he found poker. He had a natural affinity for the game, and by 18, he was a known presence in the high-stakes table scene in Melbourne. Tony G attributes much of his early success to his childlike looks. He was simply unimposing, and opponents underestimated him because of it. He used that to his advantage, and was able to build up a $200K bankroll before age 21. Hungry for bigger opportunities, Tony G got on a plane, flew to Las Vegas, and even secured a fake ID. At the Las Vegas tables, no one underestimated him, and the results were disastrous. In fact, he got out of Las Vegas with just enough money to get back home to Melbourne. He had learned some hard lessons, and developed a more aggressive style in response to them. 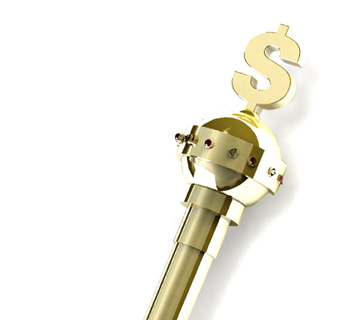 Tony G applied those lessons locally, and in a short period, he earned back that bankroll. In fact, he had so much success in Melbourne, that he often had trouble finding games. Fortunately, it was about this time that the online gambling boom occurred, and Tony G took to it immediately. From the comfort of his own home, he could find games at any time that matched his bankroll. This was the first time in his life that he was able to treat poker as if it were a career, and the dividends were immediate. Through his online earnings, he was able to sustain himself, and maintain a bankroll that gave him the flexibility to attend the bigger opportunities throughout the world. Tony G attended his first live tournament, the European World Series of Poker (EWSOP), in 2001. He lost due to a bad beat before reaching the money. The next year, he got his first win when he defeated Dave "Devilfish" Ulliott at the World Heads Up Omaha Championship. In 2003, Tony G had a lot of cashes, including some notables, such as the Five Diamond Poker Classic at the Bellagio in Las Vegas. But for the most part, these were small pots, and Guoga realized that he would have to make better use of his time. Heading into 2004, Tony G took some online business classes, and he began to apply what he learned to his career. The goal was to treat his poker play as a business. He used his online play as expected earnings, and scheduled his stops around the world for maximum potential. The result of that approach was less travel and fewer buy-ins, and it helped 2004 to be his best year ever. That year, he achieved ten final tables in all. His biggest finish was second place at the Grand Prix de Paris of the World Poker Tour (WPT), which earned him more than $400K. Later that year, he was "bubble boy" at the Mirage Poker Showdown, and that earned him ~$70K more. In 2005, he earned a half-million at the European Poker Championships, and in 2006, he earned another half-million at the Betfair Asian Poker Tour. During 2003 and 2004, Tony G started to earn a great deal of notoriety. After the Grand Prix de Paris, PartyPoker.com took notice, and offered him a sponsorship. Also, he had been on television a number of times, and the audience clearly connected with him. Because of that, he started earning invitations to televised events based solely on his personality. His approach has rubbed people the wrong way at times, and he has had some famous clashes with players like Phil Hellmuth. Tony G also a way of endearing himself to people, and that's what makes him such an interesting character. When he won the Asia Poker Tour in 2006, he had, in his own words, become rich. So he split the pot, and donated half of it to charities throughout Asia and Australia. Since then, he continues to contribute a significant amount of his winnings to charities throughout the world. After that success, Tony G began to put a lot of focus on the WSOP and the European Poker Tour (EPT). Like most pros, Tony G wants a bracelet, and that's something that still eludes him. At the WSOP, Tony G hasn't come closer than sixth place, but he was some big cashes, including $172K+ at the 40th anniversary event in 2009. At the EPT, he's finished as high as third, which earned him a $550K+ cash. Tony G is best known for his aggressive, tricky and boisterous play. He's also a representative of PartyPoker.com. He often plays online at PartyPoker using the handle 'Tony G,' and he attends almost all of PartyPoker's signature live and online events. 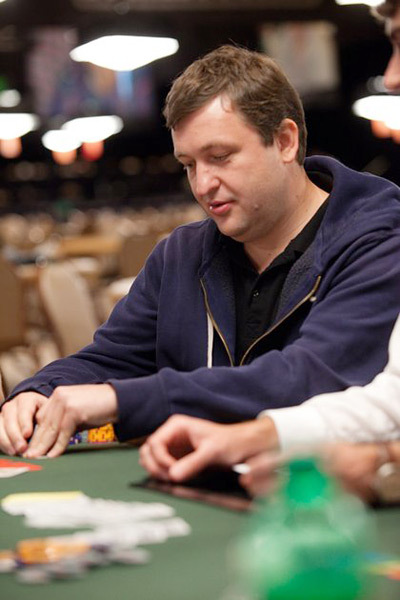 Antanas Guoga is also known for his charity and for establishing the Lithuanian Poker Federation in 2010. He's the federation's major sponsor, and he has worked hard to make the Lithuanian team a presence at the FIBA World Championship and other world events.